While today's release doesn't preclude Intel from releasing additional Broadwell-DT processors in the future, for now here is what the starting lineup of five 65W SKUs looks like. Those with R at the end will be soldered down BGA parts, similar to the mobile Haswell-H models featuring Crystal Well. The two ‘C’ models will be socketed LGA parts, meaning that with a BIOS upgrade should be compatible in all Z87 and Z97 motherboards. 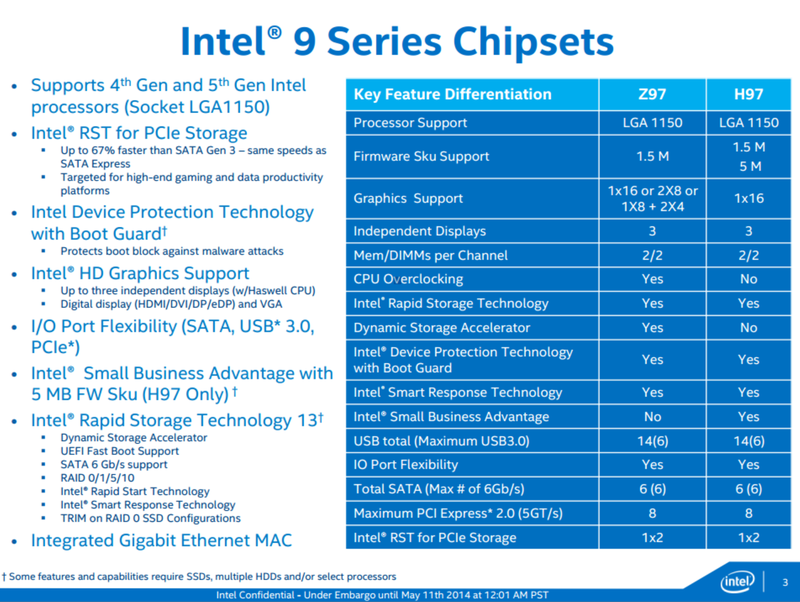 As for pricing, Intel's prices are fairly consistent with what they have been charging over the Haswell generation. 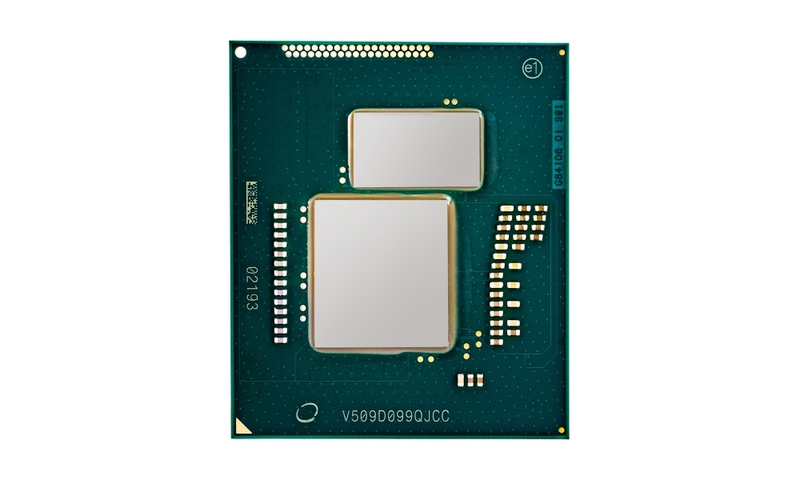 The top-tier i7-5775C will fetch $366, a bit over the list price of the i7-4790K, but only about $10 off of the list price of the top Haswell Crystal Well part, i7-4770R. Otherwise the soldered counterpart to the i7 family, the i7-5775R, will go for a bit less at $348. Below that we have the i5 family. The socketed i5-5675C will go for $276, which happens to be the same list price as the Crystal Well equipped i5-4670R, or $34 more than i5-4670K. Below that we have the last two soldered parts, the $265 i5-5675R, and the $244 i5-5575R. Ultiamtely it goes without saying that none of these processors will be especially cheap, however with 128MB of eDRAM on-board we weren't necessarily expecting them to be, either. However what this also means is that Intel might take the iGPU crown from AMD, but it will come at nearly 3x the cost. Broadwell-K, or is it Broadwell-C, or Broadwell-H? In recent generations, Intel’s overclocking processors have all been given the K designation except the Pentium G3258 which is a special edition model celebrating Pentium’s 20th birthday (but affectionately called Pentium-K). Naturally then we assumed that even though we knew there would be Broadwell processors with Crystal Well, that any overclockable SKUs would be given the K name. But this is not the case, and as a result we have to deal with another identifier in Intel’s product stack. Thankfully, C for Crystal Well is somewhat obvious, although it avoids the overclocking element. Intel’s other Crystal Well parts, those on Haswell that are for laptops and the three others in todays launch, are all called R. We’re still not sure why they are called R, but now we have Crystal Well with R and C. Something tells me that it might have been easier to call the socketed ones i7-RK, but would you believe it Intel is already using RK for its Atom x3 chip agreement with Rockchip. That leaves i7-CK as a potential, although many users will still call them Broadwell-K, just for ease of use. Intel internally wants to differentiate the K product line from the Crystal Well products, although adding overclocking to the new socketed processors confuses that mix. The Broadwell processors will use the LGA1150 socket, which is currently found on all 8-series and 9-series chipsets. Based on our own internal testing, users should wait until a BIOS for their motherboard is available that officially supports the new processors. In our testing, putting in the CPU without the BIOS caused random freezing and the integrated graphics to fail on simple things such as navigating Chrome. It is also worth mentioning that early BIOSes might not allow overclocking, and this is primarily the reason why we are saving overclocking for another review. On that note, motherboard manufacturers will typically put out a press release when a new CPU arrives to announce support on at least their major motherboards. Normally this press release appears before the official launch. That being said, similar to the Devil’s Canyon launch, we expect CPUs to be available towards the end of the month at the earliest, rather than on the shelves today. When I read about some of Intel’s plans with Broadwell-DT, I was confused. We are so used to having two sets of processors launched per socket with Intel, covering the complete range from Celerons at the bottom up to i7-K models at the top. Not having a wide range of processors this time will raise question marks, especially for those that want to upgrade to a Broadwell CPU. But I have sat for a while and racked my brains. This is what I have come with. We all recognize that Intel’s 14nm process was late in getting acceptable yields and is also quite expensive in its own right. To that end, Intel started with the small dies before it moved up to the bigger quad-core ones for desktop and mobile, which given the prevelence of quad-cores in desktop SKUs (virtually the entire i5 and i7 ranges) delayed the desktop release even further. There has been much speculation as to when Skylake will come to market, as if I recall correctly Intel wants to keep to Moore’s Law as much as possible, and that means releasing Skylake at some point in 2015. 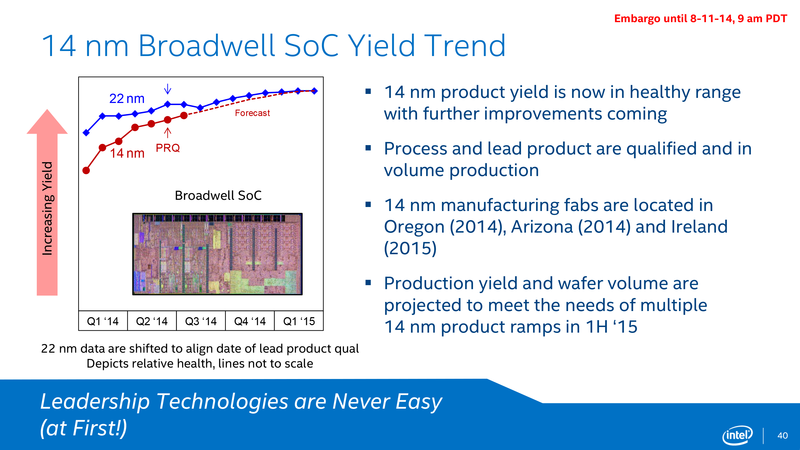 To that end, Broadwell-DT is a stop-gap to Skylake. In a stop-gap, you do not release a whole stack, because you end up annoying those who invest and then realise the next thing is just about to be released. So you have to release something interesting that will get interest or target a non-regular crowd. That crowd, by virtue of my comments earlier up the page, is those interested in integrated graphics and Crystal Well. Stick in some eDRAM, make it overclockable, and if you can take the integrated graphics crown from AMD, even better. Users who want peak integrated performance will invest, those wanting peak anything else will buy the greatest which might afford more profit or at least keep the investors happy. It also means that there will not be a massive amount of stock in the channel, so once the stop-gap's replacement is here, the stop-gap can quickly be shifted to End-Of-Life (EOL). Did that make sense? The comment about EOL is an interesting one, as I have heard rumors from other technology media that they are expecting Broadwell-DT to be put into EOL relatively quickly. However, we can’t confirm this. We were able to source both the i7-5775C and the i5-5675C to test, along with a reasonably updated BIOS but right around the time Computex was about to start. A combination of time and firmware means that this review will focus on stock performance, comparing it to other processors in its price range. We also had initial issues with testing the graphics, and due to time constraints again we only have IGP results for the i5, but also we only have Linux tests for the i7. But aside from that we were able to test both CPUs in our regular testing suite and have almost 200 data points between the two for comparison. One of my personal focal points was to retest the Crystal Well implementation for CPU performance, but this time we also get to test it with discrete graphics cards as well. $137 is the launch price of the A10-7870K. $173 was the launch price of the A10-7850K. Take a look at how much the GTX980 stomps the amd 290X above - in the review here where they aren't concerned and paying attention and picking the best games for amd gimpy hardware. Oh look, a current gen video card beat a last gen card that is just over half the price. I agree, the obvious thing to do is use the price as it is during the time the article was written.